The recipe: You can get the official, original recipe created by Dave Asprey here, and lots of bloggers have posted variations, like Stupid Easy Paleo’s budget version, here. Like any recipe, you can make it your own, but the key ingredients it always includes are: high-quality coffee, Kerrygold (or ghee), and MCT or coconut oil. The butter: Country Crock, highly processed and filled with preservatives, isn’t going to make you feel good. And organic butter won’t cut it either—those cows may have just been fed organic corn. Getting butter made from truly grass-fed, pasture-raised cows is super important because studies have shown it contains much higher levels of all of the fatty acids you’re eating it for (conjugated linoleic acid, in particular), plus important vitamins and minerals. Kerrygold, from Ireland, is a popular option that’s widely available in grocery stores. 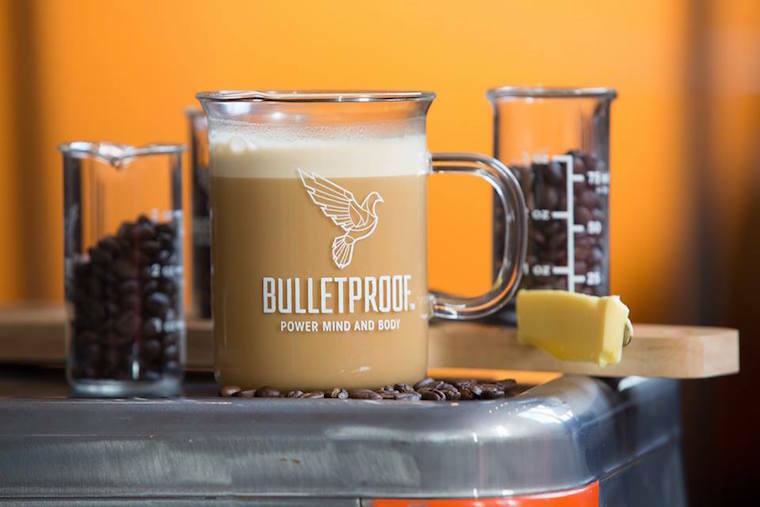 The oil: The real Bulletproof Coffee is made with MCT oil, with is a more concentrated version of the same healthy fats that are present in coconut oil. 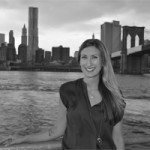 Since MCT is more distilled, people report more intense energy levels compared to using coconut oil, but it’s also much more expensive and much harder to find. If you use coconut, use virgin, unrefined. Blend, don’t stir: Break out your Nutribullet and blend everything together to a frothy latte-like consistency. No one likes oily liquid or floating butter pats. Ew. Originally posted March 10, 2014. Updated March 29, 2017. If you’re trying to stick to a Paleo diet, here are recipes that can be made in 10 minutes or less. And on a day when you have more time, you have to try making this (healthy!) pumpkin bread, courtesy of Lauren Conrad’s nutritionist.